As we continue to grow and expand the ArcGIS platform, our focus is on creating useful technology and supporting our users. In our work pursuing this goal, a number of themes have emerged. ArcGIS includes a Living Atlas of the World. It’s like a large living library of geographic information. Our intention and aspiration is to continue building out thematic information about every subject—basemaps, imagery, demographics, landscape data, etc.—so anyone can use it to access thousands of authoritative maps. 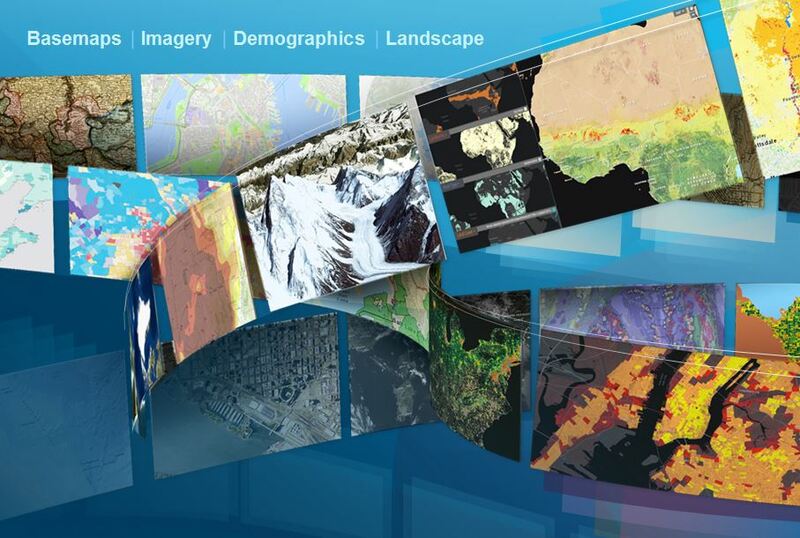 ArcGIS includes a Living Atlas of the World which consists of thousands of ready-to-use, authoritative maps and layers. In addition to these authoritative datasets, the atlas also includes millions of data maps that are being shared by our users. Tens of thousands of these maps are being shared every day, and more are being created each week. Accessing, viewing, and interacting with these is building a sharing, connected system of engagement between people around a common theme of geographic understanding. With respect to ArcGIS data management, we’ve been working on improving things like focused workflows and tools that improve your productivity—for example, 2D and 3D editing, improving workflows like the new task capability in ArcGIS Pro, and adding new tools to do conflation. In the background, we’ve been working on a new utility network model to scale out and deal with very, very large networks, like those used by utilities that have Smart Grid implementations with hundreds of millions of features. We’re also expanding support into new database areas including the big data platforms like SAP HANA, Hadoop, and Spark. Mapping and visualization is a huge area of work and is of interest to many people. We’re working on reinventing a new kind of 3D cartography to make it easier to tell stories with 3D maps. We’re also working on vector tiles, which are sort of like raster tiles, but with some interesting characteristics. Later this year we will release a brand new app called ArcGIS Earth for global and local visualization. We’re very active in the 3D area and are working in the areas of 3D building models, Lidar analysis, rule-based models, thematic visualization, 3D data exploration, 3D analytics, and much more. Imagery is increasingly becoming a central part of what we’re working on and integrating into the ArcGIS platform. This means the ability to manage very large numbers of images, or do advanced analytics on a single image. We’ve added more than 100 image processing tools, and we’re working aggressively on implementing the new workflow templates. This fall, we’ll be introducing support for drones. The concept here is that you fly a drone for an area, you land it, and you take the information and then put it into the system and make the information immediately available. One new capability that is very interesting is the idea of Dynamic Image Processing Chains, which lets you perform dynamic image processing as you zoom. It scales to handle tens of thousands of images at the appropriate scale. This is a transformational idea. My favorite part of the ArcGIS platform, and why I originally got into GIS, is spatial analysis. Here we’re working in two areas: adding new tools to the desktop and adding tools in the online environment. In desktop, we’re adding one very important tool that I love: Bayesian regression. It allows us to predict things by regressing on its relationship with other layers. I can use Bayesian regression to predict where something will do better, or where something might happen. We’re also integrating ArcGIS with a number of advanced scientific programs like SciPy, R, and pandas. Enhancements to the spatial analysis capabilities of the ArcGIS platform advance the science of geography. In the online environment, one big highlight is that we’ve improved geocoding so it’s 230 percent faster. GIS is becoming real-time—in terms of real-time connectedness to this system of engagement, but also with the ability to handle thousands of real-time events every second. At the Boston Marathon, GIS became central to the security efforts this year to protect the event. Thousands of you are already implementing this technology, and our work here is to make it faster so that we can take this high velocity monitoring and send alerts when geoevents or geofencing observations set off alarms. For the last couple of years, we’ve been working on a project at Esri called the Big Data Project. It’s all about GeoAnalytics and visualization of massive amounts of data. It’s about creating new insights from very, very large data—hundreds of millions or even billions of observations. Creating new insights through the analysis of taxi cab pickups and drop-offs in the New York City area. As a result of this project, the GeoAnalytics Extension to ArcGIS will be coming out next year. It will enormously speed up your ability to do computations on these big datasets. 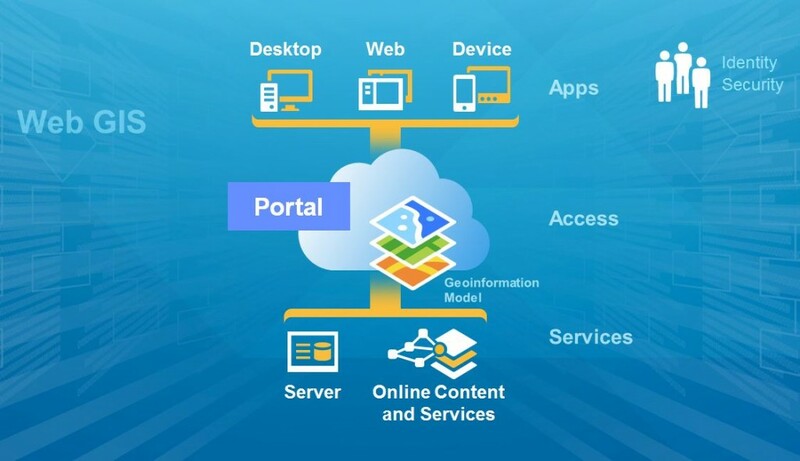 ArcGIS is fundamentally an open platform. We take this seriously because it ensures that your data and your systems are interoperable with other kinds of technologies. This is challenging because different organizations have different approaches, different philosophies, or different preferences for how they implement interoperability. We are working hard to support multiple pathways to ensure that our system is open. We support open standards, and we are active in a number of different organizations like the Open Geospatial Consortium (OGC) to drive and develop new standards. We support open data formats so that different technologies can talk directly to each other. We ensure that our system is open. This means open APIs. We now open source many of the libraries of our tools and also bring many open source packages into our environment. We have successfully implemented Open Data, so your data can be openly shared in multiple formats. We have an extendable architecture so you can add to it and also embed our technology into other integrated solutions. This approach of having multiple pathways is actually very successful, and the evidence of it is in the thousands of systems of complex heterogeneous natures that you’ve implemented that just work.